Welcome to Mercy Ebute's Blog: Zika Virus: Brazilian President declares war on mosquitoes. Zika Virus: Brazilian President declares war on mosquitoes. Brazilian President Dilma Rousseff has declared war on mosquitoes responsible for spreading the Zika virus in a recorded TV message to the nation. She said a national mobilisation day would be held on Saturday, during which thousands of soldiers and state employees would work to eradicate the insects in homes and offices. Ms Rousseff said most mosquitoes breed in or near people's homes. Zika has been linked to babies being born with underdeveloped brains. It is spreading through the Americas and the World Health Organization (WHO) has declared the microcephaly disease linked to the virus a global public health emergency. 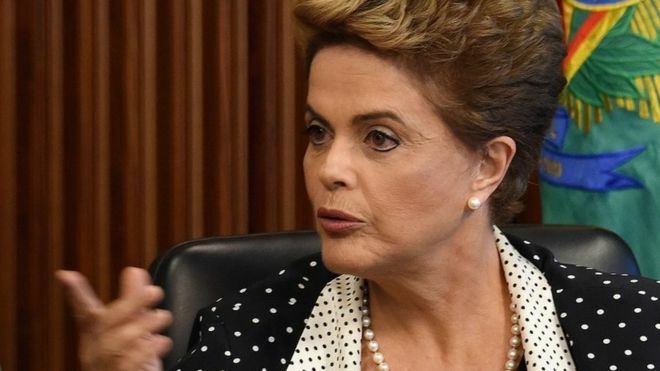 In her address, Ms Rousseff said that substantial federal resources were being released to fight Aedes aegypti mosquitoes, because it was a fight that "cannot be lost". "All of us need to take part in this battle," she said. "We need help and good will from everyone. Collaborate, mobilise your family and your community. "I will insist, since science has not yet developed a vaccine against the Zika virus, that the only efficient method we have to prevent this illness is the vigorous battle against the mosquito." The president also said that she wanted especially to send a "comforting message" to mothers and future mothers. "We will do everything, absolutely everything in our reach to protect you. We will do everything, absolutely everything we can to offer support to the children affected by microcephaly and their families."